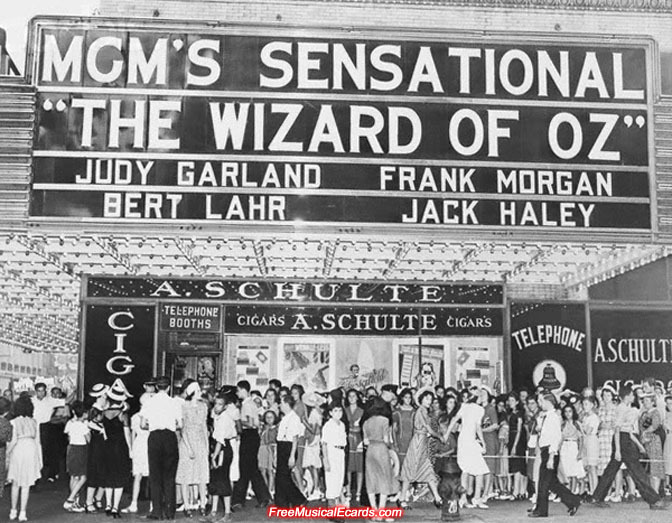 Crowd gathers waiting for the premiere of The Wizard of Oz outside Capitol Theatre in New York on Thursday, 17th August 1939. At 5:30am, lines started to form in the milky darkness. By 8.30am, when the sun had risen and the box office had finally opened, the crowd of about 15,000 people, mostly women and children crammed the entire block. 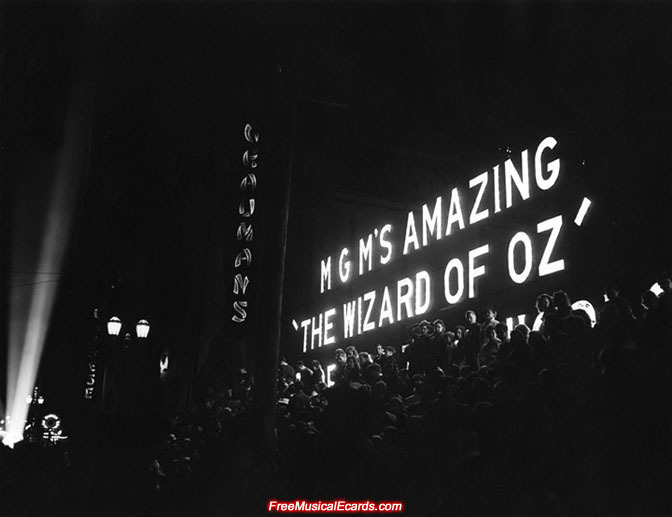 American moviegoers watch the premiere of The Wizard of Oz at Grauman's Chinese Theatre in Hollywood, Los Angeles on 15th August, 1939. 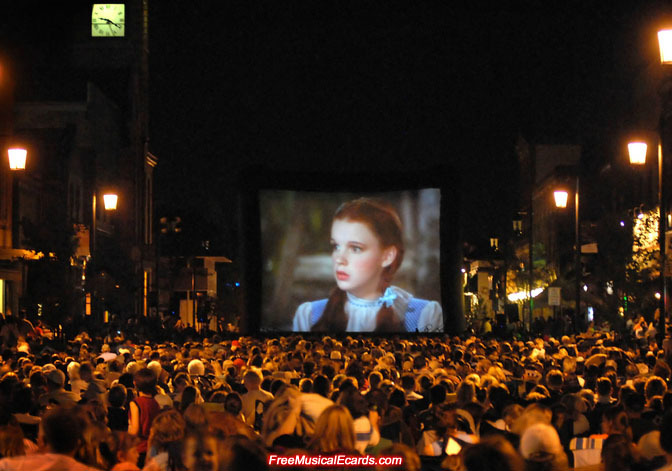 Over 2,000 viewers watch The Wizard of Oz in Oconomowoc, Wisconsin on 12th August 2009, shown in celebration of the film's 70th anniversary. 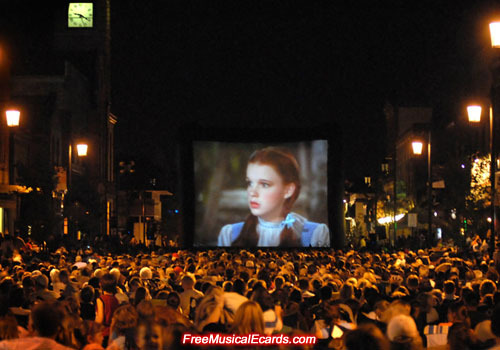 Oconomowoc was the site of the film's first premiere on 12th August 1939, then followed the opening in Los Angeles on the 15th and New York on the 17th. 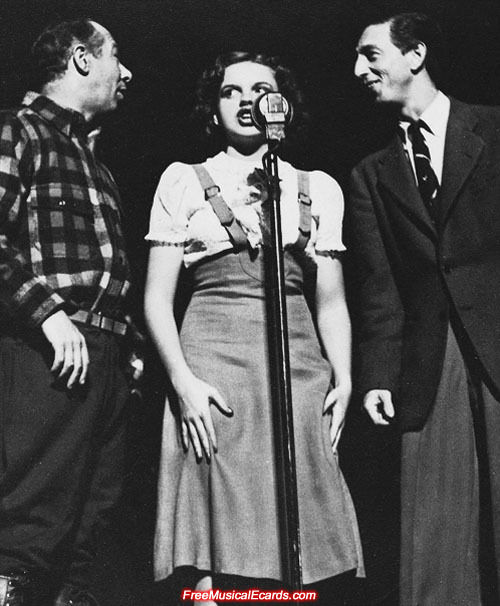 From left to right: Bert Lahr as The Cowardly Lion, Judy Garland as Dorothy (who looks in great shape), and Ray Bolger as The Scarecrow wearing a suit. This is a rare photo of the trio live in person at a viewing of The Wizard of Oz (1939). 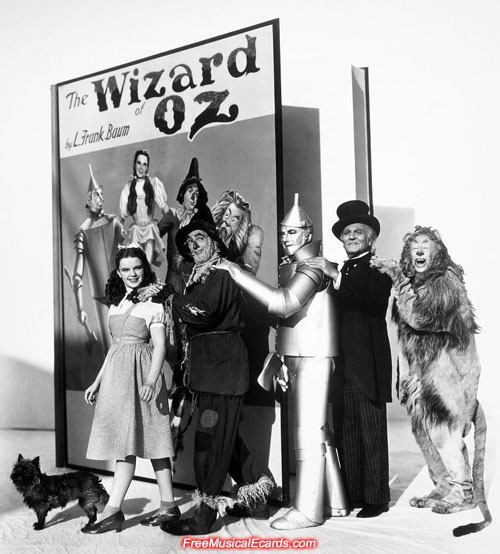 From left to right: Dog Terry as Toto, Judy Garland as Dorothy, Ray Bolger as The Scarecrow, Jack Haley as The Tin Man, Frank Morgan as The Wizard, and Bert Lahr as The Cowardly Lion. 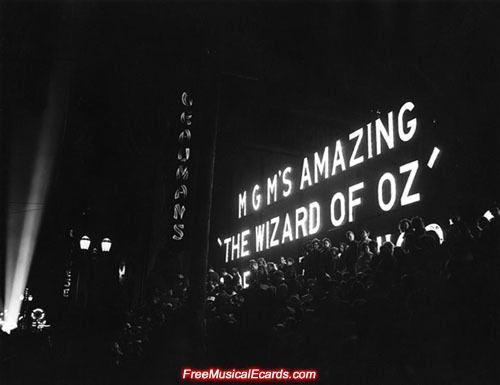 They are the main characters in The Wizard of Oz, a 1939 MGM color movie based on the 1900 children's novel written by L. Frank Baum. Judy Garland's status went from "star" to "superstar" after she won a special juvenile Academy Award for her performance as Dorothy. 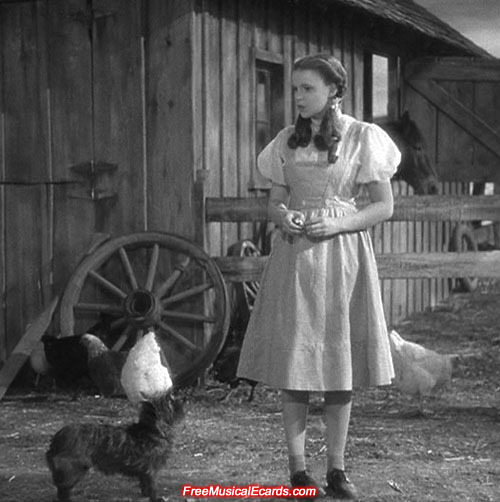 Judy Garland displayed her acting and singing prowess in The Wizard of Oz.